At home they just call me Ethnic. Politics in Full Sentences. The Story of Naheed Nenshi’s Purple Army. Their rivals bet on a city that existed one second in the past. They bet on a place that existed one second from right now. This is an unedited account, one year later, from inside their unprecedented campaign. A highly educated, fiscally conservative multicultural meritocracy average age 35.7 elects a fiscally conservative 38.7-year-old mayor who graduated from Harvard. The fact that he is pious, possibly gay and lives with his parents did not register. We picked the best person for the job. We sometimes do that in Calgary. Or so we like to tell ourselves. The question then: why was everybody—including the people who built the campaign—astonished that it happened? A political campaign is a series of very intentional bets. You bet that you understand the people in your city more profoundly than every other candidate in the election. Ric McIver, the heavy favourite, bet on who we’ve always been told we are. He did this because he’s not an idiot. You don’t win an election in Calgary by telling people what you are for. We are raised, as Calgarians to vote against. We vote against Liberals, against Central Canada, against Edmonton and rural Alberta, against misspending, against anyone that would take away our proverbial latte or crap in our cornflakes. Consequently, the actual ideas that swell inside Calgary—“innovative, risk taking, not afraid of change” (to quote the candidate’s stump speech)—do not always match the brand of Calgary. We are seen by outsiders as predictable, short-sighted, greedy and bitter. We have, for three decades, bought into the stereotypes others have placed on us. You get dismissed enough times as the soulless bad guy in the world around you, your instinct is to go against. Thus we find ourselves in the bizarre situation of being praised for, well, something. The redneck image is gone. We’ve done what the self-proclaimed progressive cities only talk about. They’re in awe that we’ve elected this precocious ethnic kid from NE Calgary, and though that may be his most outstanding qualification, it’s not what we voted for. None of us—least of all those who live in NE Calgary—voted for brown. When the campaign team set to branding its candidate in mid-July, brown was not seen as the first, nor even the second issue. Despite the fact polls had him in 10th place with less than 4% support—directly behind Alnoor Kassam and the urban chicken advocate Paul Hughes—there was “an arrogance over confidence issue.” The candidate, whose sense of humour takes some getting used to, would start sentences with the words: “Here’s why you’re wrong…” As the campaign progressed, he had to force himself to pause when asked about, say, the SW ring road. He’d bite his lip a little bit, and begin: “You’re not going to like my answer.” We liked this about their campaign. The world has become too urgent for pandering. Unlike the two bigger rival campaigns, who bet on what Calgary had always been told they were, this campaign bet that it knew Calgarians better than they even knew themselves. It was an audacious bet. To stand any chance, they would have to teach us something that we didn’t yet know about ourselves. They placed their bet on a Calgary that was about to exist. Two blocks south of City Hall, in a minimally furnished headquarters underneath 11th Avenue, at a little before 11pm the night before election day, there was a 27×34” sheet of paper on the back of the candidate’s door. At the top, were four headings in sharpie marker representing Higgins, McIver, Their Campaign and Voter Turnout by percentage. Down the left were the names of each member of the team, several of whom were crammed now into the candidate’s office, trying to figure out what had been missed. Really, though, they’re eyeing the election pool, calculating how to tweak their personal bets. It was not always clear where the act of creating this campaign ended and consuming it began. More than anybody was nervous or optimistic, they were profoundly curious. Whose campaign WOULD win? Maybe that’s a detachment, which comes from living on twitter and Facebook. (We’ll argue this later.) Maybe it has something to do with being the perpetual outsider. It seemed more urgent, for instance, that the candidate reach 10,000 Facebook friends than the highest vote tomorrow. Higgins had leveled out around 1,700 earlier in the week. “After that Thursday nobody wanted to wear her as a badge of honour,” the team’s pollster said. “Team,” of course, implies something uniform. Despite the big mass of purple you would see on TV, this was far from uniform. Think of the movie Sneakers with Sidney Poitier and you get a sense for the adept winging it that drove them to this point. A white Jack Russell Terrier named Jack sniffed through the office. Someone asked about the schedule Monday night. Like…what happens after 8pm? Who to phone, who to invite? Different speeches would have to be made. “If it’s Ric,” the candidate said, to the chagrin of his campaign strategist, “I’d like to do it in person.” The others in the room nodded. “If it’s Barb, I’ll phone her.” Though the margins varied wildly on the back of the door, each member of the team had Barb a distant third in their pool. “The handler” had her candidate getting 36% of the vote, McIver 29% and Higgins 23%, with 47% voter turnout. The handler moved to Calgary five years earlier. Before that she worked, building eBay during the height of the Silicon Valley rush. She never connected to Calgary. She would find small pockets of people who wanted to do better in a social way. There was a frustrating kind of overregulation mixed with a certain kind of greed. Where were the big conversations that had taken place in the Bay Area? She was not ready to go home to Ontario, though. Vancouver was too wet. On a whim, she boxed up all her possessions and bought a ticket to Peru. Three days before leaving, a trip to the doctor turned into a very rare diagnosis of colorectal cancer. Not only was she going to die, she was going to die alone in a place she had come to despise. This, above all other measures, though, is where Calgary excels. She lived ten minutes from the Tom Baker Centre, where one of the world’s foremost experts ran a clinic. She had surgery in December. Chemotherapy. Radiation. It would have cost her several hundred thousand dollars in the US. People she barely knew came out of the woodwork to support her. Halfway through treatment, she made a deal with herself to embrace Calgary with her entire being. And so in April, still weak from treatment, she found herself dragged to a Calgary incarnation of the TEDx lecture series. It is a very hard ticket to get. In some cities, hopeful attendees need to submit a written proposal just to get in the door. The candidate gave one of the lectures. Thirteen minutes after it had begun she knew how she was going to make good on her deal. “I’m a very close friend,” she’d answer with a wink. Then they would all drink tea and figure out why Calgarians had come to pay for the water and sewer infrastructure that connect their city with the private developers’ highly profitable sprawl. (The candidate was careful not to demonize developers, insistent only that better models of higher density win-win projects existed.) These conversations were only the start. What had initially made Higgins so untouchable as a candidate was that she’d existed, night in, night out, for years, in our living rooms. The campaign could never touch a living room like Higgins had. So instead they sent the ballyhooed social media candidate in as Brownie Wise, the woman who sold Tupperware through the 1940s. The team created a program where people who don’t normally get involved in an election could meet the candidate for a coffee party. If you still have no idea what twitter is—and don’t worry, most people who voted for the candidate wouldn’t know a retweet from a hashtag—these sorts of small focused gatherings in living rooms are its methodical flesh and blood precursor. The coffee parties became akin to mini editorial boards. (Invariably longer and more grueling.) Plain old Calgarians would vet this very unique candidate. They would report back to their friends. They would become vested in a real political campaign. Sometimes he’d hit a coffee party with a hundred supporters, other times he’d get less than half a dozen conspiracy theorists demanding to know about fluoride and mind control. But it was always a two-way conversation. Politics in full sentences means that you the citizen must talk back. In contrast, the unspoken message throughout the Higgins campaign was: Barb is appearing at a certain location—come meet Barb. Traditional, passive one-way dialogue. A candidate talking at us, but we don’t talk to them. By Labour Day, he was spending as much time at these parties as the more public appearances. He stood in our living rooms and proposed to build a city where you can walk to the grocery store. If there is an amazing thing in this election—and a reason not to feel too smug about ourselves—it is that we had not voted for such an idea before. A little after 1:15pm on Election Day, things had begun to pick up at the basement HQ. TV reporters were arriving, the hashtag #yycvote was trending on twitter. The campaign director Chima Nkemdirim slipped up to the street for a leisurely stroll in the sun. He strolled up Macleod Trail, then down Stephen Avenue. The air was warm. The sidewalks were covered with purple chalk. An old friend nodded at the director, complimenting him on the campaign. He strolled for another block, before entering Winners. His iPhone would periodically vibrate. No disasters yet. He stopped in front of a rack of ties. “Half the ties on this rack are purple,” he mused. The realization made him giggle. His giggle is infectious, it sounds like something between hiccups and the squeak in an old wood floor, and a temperate rainforest at sunrise. It is easy to underestimate this gentle giggling man. He had been a partner in the law firm Fraser Milner Casgrain. He had to cut back on hours, before finally taking time off to direct the campaign once it hit full stride. (He’d also cancelled a long-planned trip to Africa.) Like everybody on the team, except the strategist, he was a volunteer. It is also fair to say he is one of the two savviest political minds in Calgary right now. He, not the candidate, had the last word on every single decision made on the campaign. He troubleshoots with eager volunteers. When the strategist became too aggressive, the director would tell him to wait. A political campaign in the year 2010 moves at a reckless speed. The director spent a lot of time telling the team around him: wait a second. Exactly 24 hours earlier, he was inside a big purple warehouse on Macleod Trail and 24th. He wore a conductors cap and thick black glasses. He had just given the rah rah speech to 75 volunteers who would act as scrutineers the next day. “Your job is to make sure the election is fair tomorrow,” he told them. “An election is run by humans and humans make mistakes.” Again, it’s a subtle thing, but this is the tone of politics in full sentences. Humans make mistakes. The goal is to find the mistake, correct the mistake. If the mistake is repeated, then the goal is to correct the system. The goal, in these conversations, is never to assign blame. Modern politics has replaced ideas and solutions with the assignment of blame. We are being eaten right now, as a culture, from the inside out by blame. Volunteers had arrived at 10am to start making calls. It was now 2pm. The director had a shiver of deja vu. He had last directed Kent Hehr’s improbable Calgary Buffalo campaign. The phones had gone down on election day. He had promised—vowed—that would not happen again. “I don’t want it to crash” was the only thing he said, when stipulating what he wanted in a phone system. He was assured that the network hadn’t been down in fifteen months. The day before, his volunteers had begun calling McIver supporters. It’s a seemingly brash tactic—reminding your opponent’s supporters “to come vote in the election the next day.” During their afternoon debriefing, he’d shown the candidate one of the call sheets. He giggled as the candidate counted. The candidate hadperfected a way of trying not to look surprised by anything. As if everything had gone exactly as planned. “We’re getting a conversion rate of 20%?” he finally asked in disbelief. This was just a little better than planned. The candidate and campaign director met their first year at the University of Calgary. They had a mutual friend named Lori, who for months said the two should meet. They hit it off. And then never saw Lori again. “We like to say she fulfilled her mission,” the candidate said. By their fourth year, the candidate was the president of the SU, the director was VP. After graduation they backpacked across Europe. Every four years since—in the Olympic/World Cup year—they go on a trip. Cross Canada. South America. Australia/South East Asia. This summer was supposed to be Africa. Instead they found themselves on this journey of purple ties and crashed phones, and impatient volunteers eager now to use their iPhone and Blackberries. He thought for a second, then shook his head wildly. “I don’t think you should call people from your personal phones.” Like surely there are rules against that. So with less than 36 hours to go in the election, he stood in front of a Wireless Wave kiosk in Marlborough Mall trying to get a deal on a contingency bank of ten cell phones. It is tricky in such moments not to let your mind wander to what’s going on at McIver HQ. The campaign director had never been inside McIver HQ, but heard the rumours about a hundred live lines. “Not robodialiers,” he said. “Live people.” He was running a campaign against two of the most successful strategist—not just in Calgary but all of Canada—a campaign that had spent three years raising money, and was now outspending its rivals at a rate of three to one, plus was seen to have the indirect backing, expertise and whatever comes with it of the reigning government of Canada, and some of its key MPs. The campaign director giggled. Clearly, he had them exactly where he wanted. In a typical campaign, phoners and door knockers are given sample scripts (“I’m calling on behalf of…”). In this campaign, they were also expected to take a look at the candidate’s “Better Ideas.” After that, they could talk about whatever they wanted. The volunteers on this campaign were a weird mix of intelligence, naivete and sincerity, which you seldom find in life, let alone politics. They’d knock on doors at the edge of Southeast Calgary, in the McIver heartland—in the most dramatic election in anyone’s memory—and, you know, it’s the warmest fall anyone can remember, they’re really kind of having fun. If they find out you’re undecided or that you’re thinking of voting McIver or Higgins, the first question—and this is not on the script—is why? It’s neither condescending nor confrontational. It’s honest to god curiosity. There must be some very good reason. Something this volunteer in the purple tshirt is missing. There is a genuine sense that in these conversations, you have an opportunity to change their mind just as they do yours. Instead of one Calgarian trying to bully another into voting for a certain candidate—or even worse, a political party—in these conversations you help each other find some kind of higher truth. They’d talk about how low property taxes are in inner city Detroit. They’d talk about traffic solutions from Curitiba, Brazil. The thinking is that the smartest, most articulate candidate with the best and most detailed ideas should win an election. In the old conversation, you would tell them, “well, Barb’s a really good face for the city and I like her moxy” or “Ric’s a Conservative and I only vote Conservative.” If you’re replying to politics in full sentences, though, what’s your next sentence? You might have the impression watching TV that the campaign was stacked with students and the candidate’s endless cousins. But there were corporate lawyers working from home on maternity leave as schedulers, firemen pounding signs into strategic corners, retired professors out knocking on doors several hours a day for close to three straight months. People who invariably watch Colbert and Stewart, have a sharp wit, an eye for hypocrisy, and—above all—have had it with the buffoonery that is party politics in Alberta (forget about Ottawa). They find authenticity and sincerity immensely appealing. They can get behind a municipal candidate. And so the team encouragedthem to be critical. They’d release policy with the words: “is this a good idea?” The idea would get discussed. They didn’t delete negative comments. After it was discussed, it was no longer a single candidate’s better idea, nor the better idea of a strategy team of half a dozen—seven total votes on October 18—it had become a much better idea that belonged to several dozen hyper-engaged, who now went about selling it to the next ring of slightly less engaged Calgarians. At its lowest, the campaign was mocked for polling at 1%. But they had the exact 1% they wanted. Most of the other candidates, on the other hand, waited until after Labour Day to release their platforms in order to maximize more traditional media attention. It was too late. Within hours, the platforms—many of them high on platitudes and short on specifics—were eviscerated by the hyper-engaged, who suddenly found themselves tweeting and retweeting on the campaign’s behalf. It was the first time in their life these people knew a campaign was transparent because, well, they had become the campaign, and surely they had no secret agenda. The campaign director underestimated the breadth of local discussion online. The hyper-engaged on calgarypuckorum.com, for instance, strongly championed the candidate, who is a self-professed transit geek. As did the automobile discussion forum beyond.ca. The campaign director giggled now in Winners in front of the rack of purple. “It’s the same thing at Harry Rosen,” he said, shaking his head in disbelief. “purple is actually in this season.” A stranger overheard him and added: “The Bay’s line is all purple too.” When all is said and done, there is sometimes just something much bigger and impossible to account for on your side. The last coffee party on the last Saturday afternoon had ended in Rocky Ridge. Afterwards, they zigzagged a long way west towards the mountains in order to go a much longer distance East. Stoney Trail NW was empty. “There was the red sun,” Dickens once wrote, “in a purple haze, fast deepening into black.” They cut over 32nd. Their evening was about erupt into the dazzling multi-hued mayhem of Saturday night in NE Calgary—a character in Calgary unto itself. The great misconception throughout this election was that because he’s brown and his campaign director’s black, and half the people on the team are some shade in between, that would somehow add up to having the NE in the bag. Anybody who said this has never campaigned in East Calgary—nor probably ever spent more than a few hours exploring it. Over they years, the campaign team has had their individual asses handed to them by the knee. 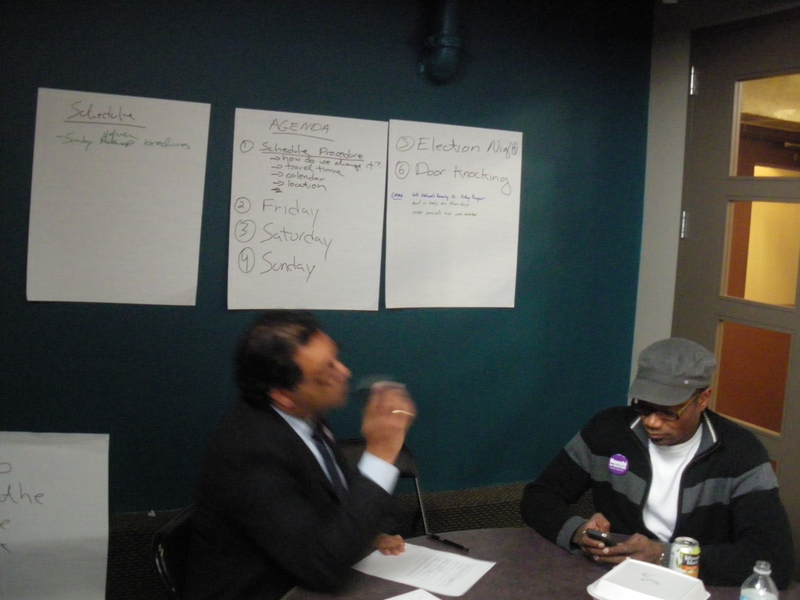 The director and the candidate finished fourth in their first civic campaign; Ward 3 in 2004. The strategist ran a competitor’s campaign that same election and finished second. Despite the scars—and despite the fact they all believe in sophisticated statistical analysis, social media, robodialling, and all the post-millennial campaigning tools—there is an edge of excitement when they talk about the NE. Campaigning in NE Calgary is an art. Nobody was better at it going in than McIver. McIver got the NE in a traditional way. He was connected to the community leaders. He’d come through for them. Most importantly—and this can’t be overstated—he’d been the perceived frontrunner since February. If you live in the NE, it’s not a stretch to say that your people have come from somewhere, at some point, where voting for the winner was essential to you survival. “They know how to read the tea leaves,” the campaign strategist had said. They always vote for the winner. “In 2004, we didn’t know what were doing,” the campaign director had said. “Door knocking in NE Calgary doesn’t work.” People don’t really answer their doors, and on those occasions they do, you can’t count on communicating complex ideas in English. “You have to go through various mosques, churches, temples because that’s where the community leaders are.” They put their signs in the wrong place in that campaign. Worst of all, it was a race for alderman, but the candidate was putting forth policies that you’d expect to hear from the mayor. Nobody cared. They wanted potholes fixed. Money for seniors facilities. To show these communities they were serious, the campaign team published the better ideas in a dozen different languages. They used a free google app to crowd source each translation. On Sunday morning, one of the candidate’s cousins would drop off some better ideas that had been translated to Farsi for a small group of Afghans who worship at the mosque. It’s a community of 2,000. One phone call sets off a chain of phone calls through the community. The 31st leadership forum of the election was at Marlborough Park on Wednesday October 13th. The candidate likened it to a wrestling match. It was the only forum where anyone brought droves of supporters. There was a large group of Sikh taxi drivers wearing Higgins tshirts. They yelled for the candidate to come pose for a photo when he entered. He leapt into the middle of the frame, making a kind of tada gesture, and they pretended to beat him up. The president of Associated Cabs watched. There were layers of subtext that are difficult to unravel. If you want to understand NE Calgary, he’s got a tour. The abridged version begins east off 28th Street and Memorial at a strip mall called Short Pants Plaza. You must take transit to get there. You buy a patty at Lloyd’s Patty Plus, sfeeha from Village Pita, purple yam ice cream from Lolit’s. Try Safari Grill for East African if you want to sit down. Spend a couple hours at Forest Lawn Library after that. Read up on something you’ve always wondered about. You’ll eventually head to Westwinds/McKnight, which is the Northern terminus of the North East Line. The station is shaped like an upside down canoe. There is a time capsule that tells the story of the people in the community. The $15-million Baitan Nur mosque, built entirely through donations from the community, is there. The second best samosas in Calgary are at The Samosa Factory. If it’s the summer, find a soccer field. Sit on the grass. Watch what will seem like the whole world kicking a ball at that moment. And then hit up Sunridge Mall. It’s a mall like every other mall in town. There is an Old Navy like all the other Old Navies. It is a mall that is full of people who live in the NE. If you’re really serious, you’ll end the day at Village Park Leisure Centre, where people swim in all manner of bathing attire. In the change room, you realize your similarities. February 24, 2010 was one of those where-were-you days. Canada was about to play Russia. The candidate stood in line at Japadog on Burard Street in Vancouver with the pollster. (Vancouver was in the process of easing restrictions for all manner of street food carts.) His iPhone vibrated. His jaw dropped. Bronconnier wasn’t going to run again. He hung up, turned to the pollster, and half asked, half stated: “I wonder if I should run—you’re on the team right?” By the time the puck dropped, he was at the ANZA club, which is a bit like a rumpus room, about half a dozen blocks from the Athletes Village, at a table full of expat Calgarians. It was 6-1 Canada, four minutes into the second period. His iPhone kept vibrating. After the game, one of the people at the table asked the others what they thought. He was not The Candidate yet. If there was a unifying thing about these Calgary expats, they had vigorously committed themselves to the city in their early 20s, whether as writers or architects or lawyers or musicians or doctors of some form of community activist, but Calgary had disappointed them. So they headed to New York and Toronto and Vancouver to find that thing missing at home. For lack of a better word, let’s call it potential-that-was-actively-being-fulfilled. This phenomenon they found in those other communities made them resent the time they’d invested trying to build it in Calgary. “But that guy could be the next mayor of Calgary,” someone said. There was a round of mean, dismissive laughter. It’s that smug thing you hate so much about people in Vancouver. Calgarians would never vote for an articulate, righteous, brown guy. The candidate hadn’t known it, but Bev Longstaff, who had run for mayor against Bronconnier, had been trying to draft a similar group of intelligent people. She’d asked a very senior manager at City Hall. He wouldn’t run, but had a candidate in mind. “That would be you,” Longstaff said. She spent rest of lunch trying to convince him to run for alderman instead. Meanwhile, there was an informal scout, who had been doing a similar draft in his imagination—it’s a conversation we all have in our heads: who would be the dream mayor—but the scout didn’t ask the candidate. 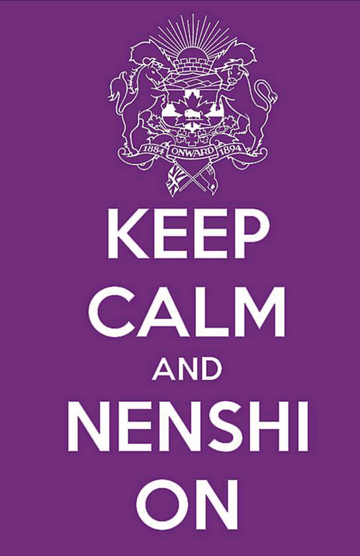 Instead he created a Facebook page titled “Draft Nenshi.” 900 people friended the site. McIver wrote an OpEd piece, questioning the prospective candidate’s credibility as a pundit, calling him out as a failed candidate in Ward 3. On May 25, the candidate said: “let’s do it.” The scout had no idea what came next. He built a web site, which was blue and gold. He looked into the political implications of purple. For no other reason than he knew nobody else would pick purple. Purple wouldn’t help with the image obstacles. But he learned it had no political connotations either. (No serious movement in history had wanted to touch purple with a ten-foot pole.) Swing States are often marked by purple, which struck the scout as appropriate. And then it dawned on him. You make purple by mixing blue and red. The colours that traditionally represent the right and the left. (McIver and Higgins both used blue.) Purple had a profound meaning for those who would join the campaign—they just didn’t know it yet. In those days at the end of May, they were still trying to figure out who they were. The early volunteers had been involved in a small group created during the previous civic election called “Better Calgary.” A sort of urban think tank. Half of that group were disillusioned refugees from Jim Dinning’s provincial leadership campaign, the other half had spent their lives losing in various campaigns to Conservative candidates. Better Calgary was a mish mash of academics, lawyers and community development types, who were a little right on the spectrum on certain issues, and a little left on others. Their conversations and ideas were apolitical. They’d complete each other’s sentences on transit-oriented development. Better Calgary gave way to Civic Camp. The candidate likes to argue that is had been an ideas campaign. The strategist calls it “the first brand election in Alberta.” In truth, it is hard to tell where one begins and the other ends. Think about the conversation you had over Thanksgiving dinner. (And remember, a Calgary civic election is a calculated race to become the Thanksgivingconversation.) If you discussed the purple candidate surging from behind, it was a brand election. If you discussed the specifics of his better ideas—not that he had them, but what they were—it was an ideas election. I can’t believe it. It is amazing. It makes my eyes explode out of my head and almost puts me on the verge of tears. I am Calgarian. This is amazing. I am a loser for not helping more. If you were to sift through the candidate’s donor list that morning, you would have found the expat’s name. It had been there since August. He had not given up on Calgary. Not entirely. The campaign’s donor list was remarkable, on one hand, for the sheer volume of donors—as opposed to fewer donors making bigger donations to other campaigns—but also for the fact that the public could even view such a list during the election. The Better Calgary campaign had put immense pressure on civic politicians to publish their lists. This campaign took it one step further, though, by attempting to update day-by-day. In what’s come to pass for a “normal” campaign, candidates try to hide their lists until the end of the election. They don’t want voters to know who is funding their campaigns. Donors likewise don’t want to be seen as trying to buy influence. Those who donated money to the purple campaign—and this must surely be unprecedented in modern Canadian politics—actually phoned to complain that the campaign hadn’t published their name on the web site fast enough. Such was the intensity they identified with this brand of politics in full sentences. By Monday afternoon, before voting ended, the candidate’s sister sat in the campaign director’s office, trying to hold back tears. She had just put down her phone. “People are calling my mom,” she said. They had looked up the number in the phonebook and called to say they voted for her son. The Youth Calgary Youth Can Vote “mock election” results were released the day before. The candidate got 41% of the vote. In the last week of the campaign, he’d still been giving speeches in elementary and junior high schools. It’s said this election was won with social media and better ideas. But it was also won with tea parties, samosas and 11-year-olds girls going home and telling their parents about the candidate’s better ideas. “But,” he said, “but this movement—it sort of has become a movement—if we can keep engaging Calgarians with real information…” He didn’t finish the sentence. But the implication would be that it wouldn’t matter who the candidate was once Calgarians figured out the dialogue that was finally in their city’s best interest. The strategist came into the scout’s office. “That’s possibly the greatest brand presentation I’ve seen in politics,” he said. “You too,” the scout replied. Three days after the election, the strategist Stephen Carter was looking for his next job. Even though he finished second last in the team’s election pool, there was no shortage of offers. It’s worth mentioning that the team was not initially sold on the strategist. He is sharp and quick. He was the camapaign’s only paid member. He’d recently had some problems with the Dalai Llama. He’d also headed up Alnoor Kassam’s $1.5 million run for mayor in the last election, the antithesis of their campaign in every way. For whatever combination of reasons—and one reason is that he genuinely liked the candidate—the strategist came cheap. In the Kassam campaign, he’d essentially been given a blank check. There had never been any hope of winning. He spent nearly $1.5 million for 35,442 votes. (More than 42 bucks a vote.) But in doing so, he learned everything—everything—there was to learn about getting the next candidate elected for mayor. He tested the effectiveness of billboards, brochures, ads in every form of media. While the exact tally’s still being calculated, this campaign spent approximately $300,000 for 140,263 votes. $2.10/vote. It is still gross for the average citizen to contemplate, but the lower end of gross. Others in the campaign hoped to redefine what was meant by Liberal and Conservative. To make the two labels as relevant as gender, race, sexuality and religion. To annihilate them as issues in any serious conversation. Because for all the self-satisfied talk right now about our cozy little meritocracy on the Foothills, we know damn well the best person does not always get the job in Calgary. The strategist compared the Wild Rose party’s new leader to the candidate. He used the term “whip smart” to describe each of them. “If they got into a debate, it would be a debate to the death.” But there is a lot they would agree on too. “Their fiscal conservatism has to do with a hatred of waste.” He said this in a way that implied the hatred came from somewhere deep in their souls. (Combine that hatred of waste with Nallainayagam’s notion of “no to politically correct Christmas,” and you have as honest a definition of populist conservative identity in Calgary as you’re going to find in 2010.) Throughout the election, the candidate kept repeating: “you can’t really call yourself a fiscal conservative unless you grew up in a working class family in Marlborough.” When the candidate talks about sustainability he’s not talking about destroying jobs in oil and gas. He’s talking about spending a buck right now to save a hundred ten years from now. Though he was seen to have ties to the provincial Liberal party, it was impossible to pin him down on any discernable ideological politics beyond frugality. In the end, this complex identity worked to the campaign’s advantage. The problem with identifying yourself as a Conservative in municipal politics is that you lose credibility with your base by questioning anything to do with brave men and women in uniforms. Calgary, it must be emphasized, is blessed with a police chief who speaks to the public in full sentences. But if you had to pick a single turning point in the election, it was the moment the candidate questioned the police budget. It was done with thought and grace. The chief refuted the assertion, but he never publicly corrected the candidate. Higgins and McIver leapt to defend their chief. The candidate didn’t waver. At the coffee parties you’d see these very intelligent men in their 50s and 60s seeming to peer deeply into the candidate’s soul. These were Conservative men. Men who wouldn’t hesitate to spit on Trudeau’s grave. More than the students raised on John Stewart, these men, who on some level still haven’t given up on the promise of Preston Manning’s Reform movement, have waited a long time to hear full sentences. The fact that a candidate could respectfully question a chief of police was mind blowing. But also confusing. Invariably these men who would also ask, “isn’t it too late to build the airport tunnel?” The candidate would tell them the airport authority doesn’t get to hold a gun to the head of Calgarians. The airport authority works for Calgarians. The Stampede Board, which has destroyed historic communities to build casinos, works for Calgarians. Transit works for Calgarians. The institutions that nobody in Calgary ever questions need to work for Calgarians. While McIver had support from Federal Conservatives, he also seemed to be beholden to forces that did not necessarily have the best interests of Calgary in mind. He bet on who we’ve always been told we are. He couldn’t question the chief. He couldn’t campaign at a Pride Parade. He was seen to be fighting for private developers “freedom” to build communities in any way they wanted. The tragedy of Ric McIver is that, deep down, he doesn’t seem to be that guy. The Conservative men at the coffee parties—who are most certainly not that guy either—but usually end up voting for the McIver-du-jour, have become ashamed of what transpires from that vote. The juvenile screaming matches that pass for discourse in the House of Commons and Alberta Legislature. Which is nothing like the screeching halt America has ground to in the destructive Democrat/Republican dialogue. Enough! Of all the limbs people went out on for this campaign, in the end, the proudly right wing Calgary Sun, which emphatically endorsed the candidate at the 11th hour after having donated money to McIver’s campaign weeks earlier, went the farthest. They’d lose advertisers and long-time subscribers, and still they did it because this was a once-in-a-lifetime moment in Calgary that trumped the pro wrestling absurdity of their national media brand. There is a temptation now to drawn an analogy between the candidate/campaign director and Rod Love/Ralph Klein. An oddly overlooked fact in the aftermath of this campaign is that at the same time the candidate was gaining traction with the hyperengaged, the campaign director also launched a new provincial party called the Alberta Party. They’d been going around the city, using the coffee party model to meet people. They called it the Big Listen. In seemingly ideological Alberta, there is this swell of a populist movement with roots in Edmonton and a momentum now in Calgary. In the line, the pollster had been talking about the shift in cool. Even a few years ago, something like TEDx never would have happened in Calgary. He talked about the rock star status of the people giving the lectures. “Every one of those guys got beat up in high school for being smart.” At some point that month the candidate had gone from nerdy to charismatic. A curl would sometimes falls over his forehead like Superman. The Christopher Reeve Superman. He was pushed now into the bar in a bit of a daze, mobbed by women, clamoring to have their photo taken with him. He didn’t have to remind them which day to vote. Some had already voted. Others were stressing how high the stakes had become, how close it was, how many people they had told the better ideas to, how happy they were to meet him, but he needed to get moving now. Though he makes a point of not ever seeming surprised, his eyes grew wider and wider. Like the day Canada beat Russia. “The apathetic youth vote,” he whispered. And that, in the poist-coital glow of an internationally recognized campaign, is the only problem with this. It’s not the candidate who is supposed to save the day. The point of the campaign is that you have to do something, man. “It’s important to us—everyone who is a part of this,” said the scout. “This is what Obama neglected to do.” Obama had mobilized an army of people to affect change, only to use his email list over the next two years to spam them for $5 donations. Calgary city council will be more transparent, more efficient, and easier to engage. Calgary transit will be a preferred choice, not the last choice. Calgary will be the best place in Canada to start and grow a business. Common-sense policy on secondary suites. Calgarians will have convenient, quick access to their airport. Audit changes; transparency to city hall. Calgary will be a city of sutainable, walkable, livable, complete. Calgary will be a city where every neighbourhood is a safe neighbourhood. Calgary will be a city where its citizens are enriched by outstanding libraries, recreation amenities, and a vibrant cultural scene. Calgarians will reduce the number of people living in poverty and ensure opportunity for all. Political campaigns should be about the best ideas, not the most money. In the warehouse, the candidate’s eyes kept wandering back to an older man in a purple turban, with a gray beard down past his chest. The man stuck out among other volunteers, who were dividing into small teams, heading out into the night. The man, who is powerful among a certain group of taxi drivers, had left NE Calgary and come to the edge of downtown to see what was happening with his own eyes. The politics—the way of engagement—had literally changed before his eyes. The man had a brief conversation with the candidate. He nodded at him approvingly. While pundits, voters and the candidate’s team was still uncertain, the old man in the purple turban knew who the winner would be tomorrow. His notebook was open. He had begun making a list of people to call. At the top of the list he had started to write “M-a-y—,“ and then crossed it out, and printed “Dave Bronconnier” underneath. The aldermen who would win were next. Then Premier Stelmach. Danielle Smith. David Swann. Brian Mason. It says something about being lifelong outsiders that he listed the opposition. This is how the establishment falls. It happens, as any real change does, slowly, then suddenly. And even, when it became hypersudden, it happened in freeze frame too. At 11:49pm, Don Braid tweeted: “In nearly 40 years of covering politics, truly the most astonishing thing I’ve ever seen! #yycvote #yyccc #yyc.” The candidate began showing up on BBC and CNN, he did one-on-one interviews with every major news show in Canada. “I thought I knew how to do media,” he said. There was not an arrogance-over-confidence issue in those moments. It’s impossible to say exactly what that sudden media attention is worth—the message of grassroots reform triumphing over whatever they assumed Calgary to be—it’s worth millions of dollars more than what we spend advertising Stampede. His message was: you don’t know Calgary. Calgary would write its own story from here on out. There is a sense now too of new gatekeepers in Calgary. In the midst of the most important political moment in Calgary in decades, the three big “local” TV stations Global, CTV and CBC were broadcasting: Dance With The Stars, Hawaii Five-O and Men With Brooms. 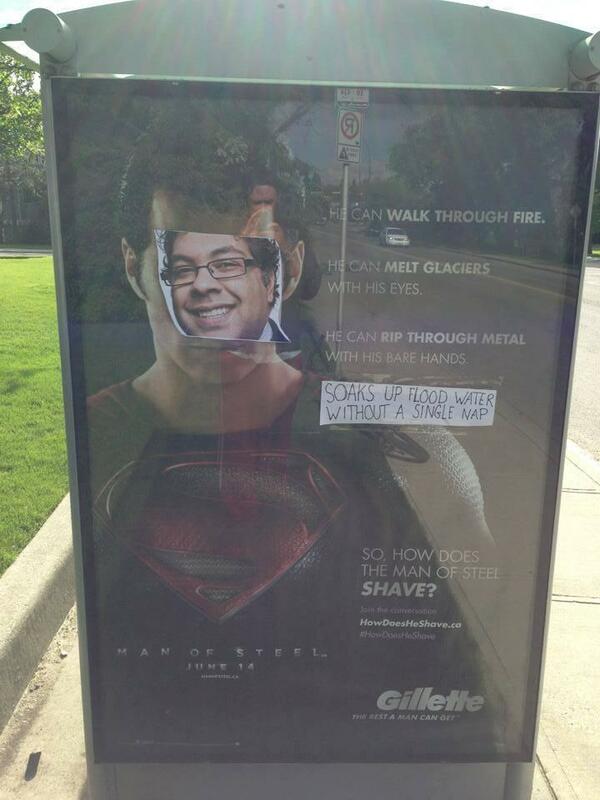 (Shaw, on the other hand, covered Calgary non-stop.) At its most dramatic moments, the scout observed two #yycvote tweets per second. In those moments it looked like the scout’s head might explode. Normally you put a candidate in the mayor’s office so he can help you out with land deals or do some kind of favour. At the victory party, though, there was a sense that he better not change. He would still have to show up early and do the tarp run at Folk Fest. His niece and nephew expected a babysitter. A volunteer named Jeff arrived late at the headquarters. Jeff had knocked on doors. He’d handed out flyers in front of big box grocery stores. He had talked about the better ideas on SkyscraperPage. He had stayed up past midnight, writing the ideas in purple chalk. He had worked as a scrutineer all day. He worked until his cell phone had died. He hadn’t heard who won until that moment. All those things that frustrate us about the old conversation had been seemingly destroyed, and what came next would either be a scenario in which Calgary laid out a model of citizen engagement that the rest of Canada could follow—or else something like season four of The Wire. Jeff didn’t congratulate himself. He didn’t congratulate Calgarians for doing what everyone outside Calgary called amazing. He said he would be at City Hall the next week. He would wear his purple volunteer shirt. He would listen to and watch the candidate he helped make the mayor. He would watch the mayor’s new council. As closely as the candidate had watched the previous mayor and council. Why Does Calgary West Keep Re-Electing Rob Anders? ← Eat. Sleep. Walk. Smile. Die. Eat. Sleep. Walk. Smile. Die.